To the left you have a photo that gives an overview of an iMX Developer’s Kit V2. Highlighted parts are described below. Make sure the jumpers J19/J20 are inserted in the upper position as illustrated in the picture. Connect the micro-B end of the USB cable to the console connector (2 in the overview figure) on the Carrier board and the other end of the cable to your PC acting as host computer. There will be 2 ports automatically configured. The first port will be the Cortex-A console. If the port is not configured you may need to install FTDI drivers. You will also need a terminal application. We recommend Tera Term, but you can use the terminal application of your choice. Connect to the virtual COM port using 115200 as baud rate, 8 data bits, 1 stop bit, and no parity. Together with the kit you get a 12V power supply with AC plugs for EU, UK, US, and AU. Select the plug used in your country and attached it to the power supply. 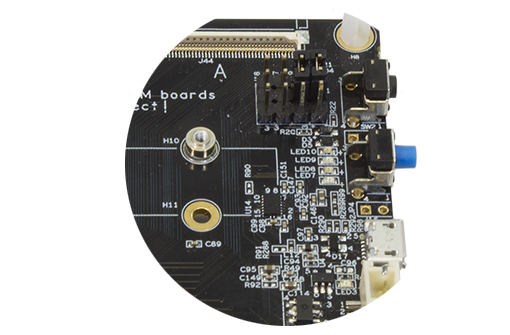 Connect the 2.1mm male barrel jack to the COM Carrier board V2. Set the Power on/off switch (3 in the overview figure) to On state and the board will now power up. 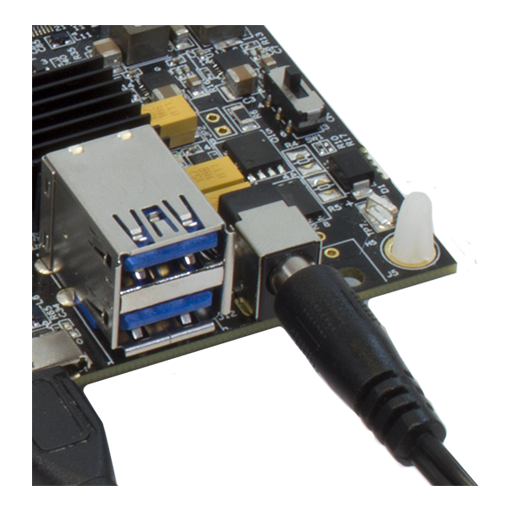 The u-boot bootloader and Linux kernel has been pre-installed on the board. After the board has been powered the software will boot. You can see the boot process in the terminal application. When the boot process is complete you will be presented with a login prompt. Enter the login credentials below to log in. 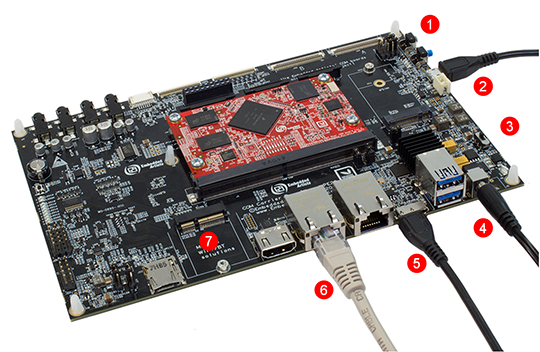 Now you are up-and-running with an iMX Developer’s Kit V2, but there is much more you can do. A lot of documentation and guides are available and a few of them are listed to the right. To find them all you should go to the product page for the Developer’s Kit you are using and then to the Documentation section.